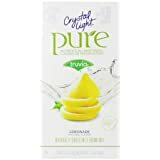 Natural and Organic Deals: Izze, Back to Nature, Horizon Crackers and more! Clip a coupon for 20% off Izze Sparkling Juices. Izze are a great alternative to soda as they are only fruit juice and sparking water. Our favorite flavors include Clementine and Grapefruit! The best bang for your buck are the cans. Save 20% on Gluten Free Rice Krispies when you clip an Amazon coupon. 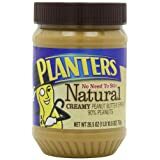 Save 20% off Kraft items including Planters NUTrition, Natural Peanut Butter, Crystal Light Pure and Back to Natural Organic Mac n’ Cheese. Are you going back to college? Make sure to sign up for the FREE Amazon Student Program to score FREE 2 day shipping. Over at Zulily, save up to 45% Droolery Teething Necklaces. Crafted of food-grade silicone and free of chemicals and harmful toxins. Save on Little Green Baby Shampoo, Cradle Cap Treatment as well as Organic Diaper Cream in the One Stop Baby Shop collection. 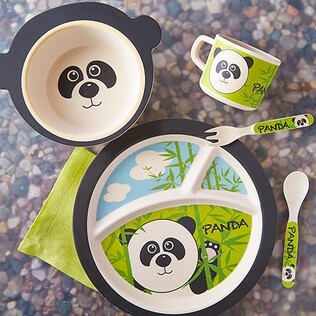 Save up to 35% off Bamboo Studio Dishware. These are plastic free, highly durable and 100% biodegradable! Pricing for shipping can run high. However, if you plan on ordering more than one item, note that shipping is free on orders after you place your initial order for that day. All deals expire Saturday August 9th. 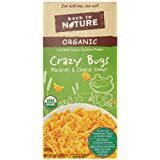 Whole Foods deals this week include Organic Cantaloupes for $3, Kikkoman Organic Soy Sauce for $3.44, Wholesome Sweeteners Organic Coconut Palm Sugar for $2.99, FREE Clif Organic Z Bars, Honest Kids Juice Pouches for $2.75 and more! 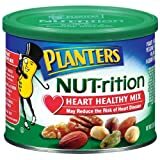 Trader Joe deals this week include Organic Granny Smith Apples for $1.25/#, Organic Potatoes for $1/#, Organic Chicken Breast and Ground Beef for $6.99/#, Almond Milk for $0.99, Country Choice Organic Mutigrain Oatmeal for $1.94 and more! Go here to check them out!